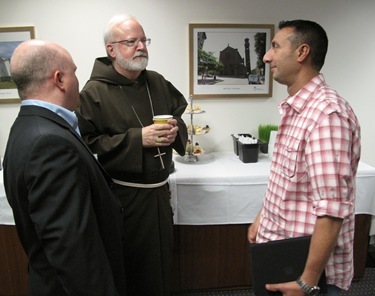 Last Saturday we hosted the Catholic New Media Celebration here at the Pastoral Center. 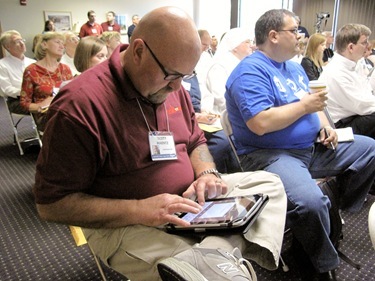 It was a gathering for Catholic bloggers, podcasters, and producers of other digital media formats. It was very successful and well-attended. About 200 people from around the United States and around the world came to this. 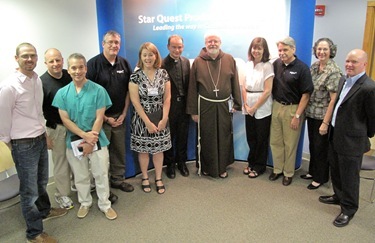 The group that organized it was Star Quest Production Network (SQPN). 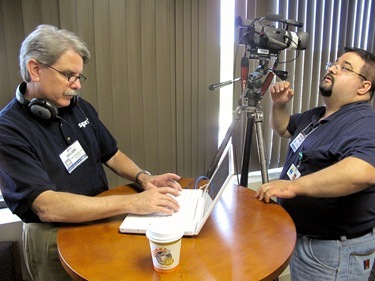 They create all sorts of digital media content aimed at evangelizing in the Catholic faith and building a worldwide Catholic community through Internet media. 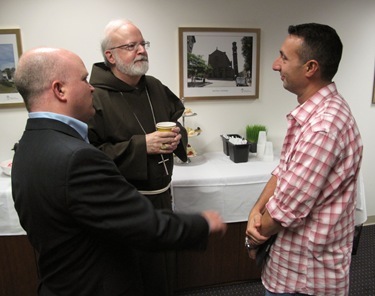 Keynote speakers for the day were our own Father Robert Reed of CatholicTV, and Lino Rulli, who hosts “The Catholic Guy” radio program on Sirius satellite radio’s Catholic Channel. 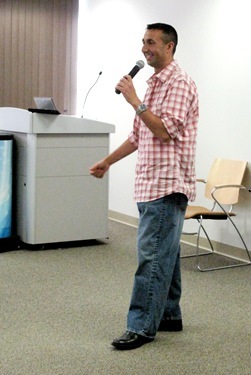 The day also featured talks on podcasting and blogging. 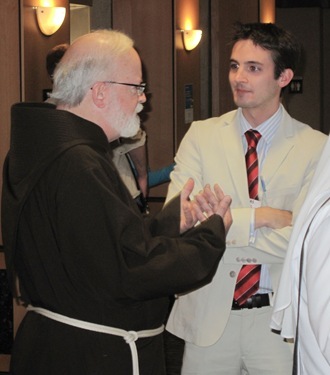 The blogging sessions were given by Thomas Peters, blogger for American Papist, and a panel of other Catholic bloggers. 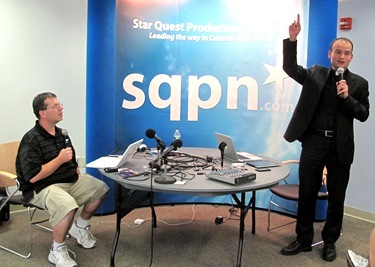 Podcasting sessions were given by SQPN’s CEO Father Roderick Vonhögen and Cliff Ravenscraft, who has produced various Catholic podcasts. I think it was very encouraging to see how much is being done to get the Catholic message out to young people using technology and the new media. The enthusiasm of the participants for this particular ministry was very encouraging. In my remarks, I talked about my own experience in using different forms of media to reach my flock in my 40 years as a priest and bishop. 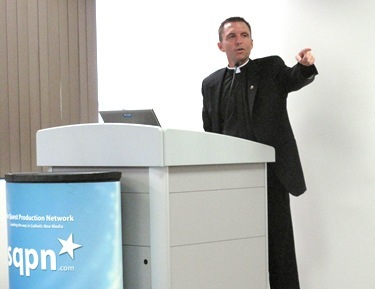 I talked about our Spanish radio program and newspaper, El Pregonero, in Washington; starting a television station and a diocesan newspaper in the West Indies; and coming here and having a wonderful Catholic television station and the oldest Catholic newspaper in the country, The Pilot which of course is now on Kindle and the iPhone. Also I talked about starting this blog and the very important need to reach the younger people through these new forms of media. And here are some links to videos of the other talks and workshops. 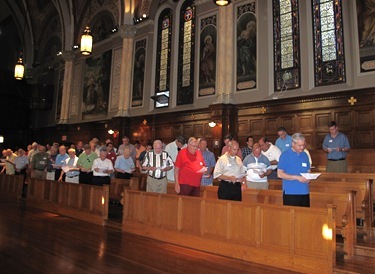 I was pleased to join Mayor Thomas Menino and many of the priests ministering in Boston for lunch on Monday. It was held at the Parkman House on Beacon Street, just across from the Boston Common. Parkman House is a historic home that was given to the city and is now used for receptions, meetings and other functions. The mayor hosted a very lovely lunch for the priests. I think it really demonstrates his appreciation for the work the priests do in the city. 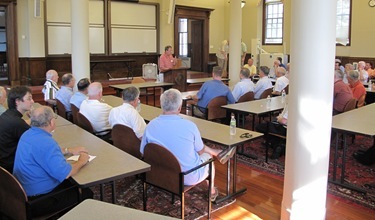 Mayor Menino talked about his gratitude for the priests, and we thanked him for recognizing what the priests are doing. 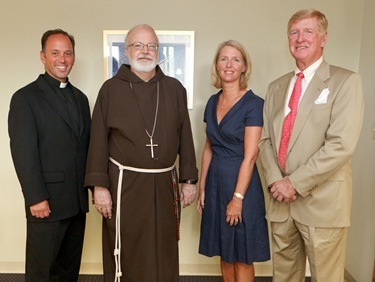 Mayor Menino has always been very supportive of the work that is done by the Church in the city such as at the Teen Center at St. Peter’s in Dorchester, the shelter at Holy Redeemer in East Boston, the food pantry at the Cathedral, and in so many of our Catholic schools. The mayor has a great appreciation of the quiet and constant service the priests of the archdiocese give to the people of Boston, particularly in the inner-city neighborhoods where there are great challenges and sometimes violence. Historically, most of the Catholics of the archdiocese lived within the city of Boston. When we had many different ethnic groups and large numbers of immigrants coming into places like Dorchester, many parishes sprang up and our institutional presence in the city grew. Though we have had to amalgamate things over the years to preserve and strengthen our presence, our commitment to being present in the city is paramount and a very important part of our mission as the Church. On Wednesday I was interviewed by FoxNews Channel’s religion correspondent, Lauren Green, about the upcoming Catholics Come Home program in our archdiocese. She was interested in learning more about the program, why we were doing it and what we hope to accomplish. Here in our archdiocese, we try to contextualize Catholics Come Home with the other things we are doing, such as The Light Is On For You, the ARISE program, the Office of the New Evangelization, and the reorganization of our new Catholic Media Secretariat. 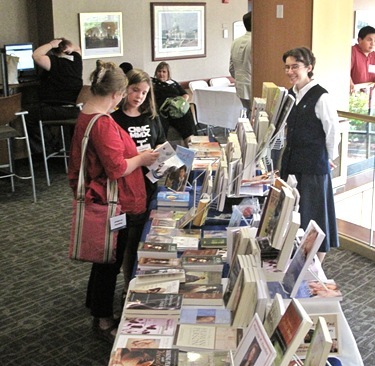 All of these things are different components in our mission of the New Evangelization — the challenge of re-evangelizing post-Christian, Western secular society. You can read the text of the story on the Fox News website. During the interview she also asked me about the plan to build a mosque in New York, very close to Ground Zero. I told her it is a sign of the value we have for freedom in this country, and for religious freedom in particular. We certainly do not want to support groups that promote terrorism, but there are many American citizens who are Muslim, and they have a right to practice their faith. Having a mosque near the site of the attack can be a very important symbol of how much we value religious freedom in this country. I compared the situation to a historical situation in Ireland: During the Easter Revolution the Irish were very careful to protect the rights of the Protestants in the Free State. They did not take back their cathedral or close their churches. Instead, they wanted people to see they believed in freedom of religion. Also on Wednesday, I had lunch with George and Mary Ryan and their family. They are celebrating their 65th wedding anniversary. George is an officer in the Equestrian Order of the Holy Sepulchre of Jerusalem, which is also known as the Knights of the Holy Sepulchre. 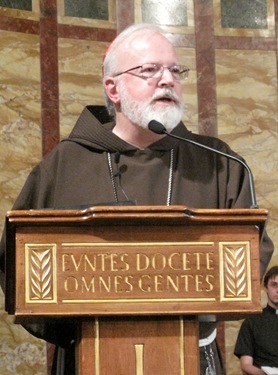 He and Mary have maintained a longtime involvement with the organization, and he is part of its central governance in Rome. George was the former Vice-Governor General of the Equestrian Order, and continues to serve as Vice Governor General of Honor. The Equestrian Order of the Holy Sepulchre of Jerusalem has its roots almost 1,000 years ago in the time of the Crusades, when a group of knights gathered to protect the Church of the Holy Sepulchre, the church built on the site of Christ’s crucifixion and burial. In 1122, Pope Callistus II established the order as a lay community charged with guarding the church and the city of Jerusalem. 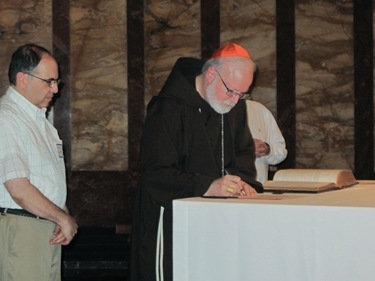 Today, the Order still performs many great works to support the Church in the Holy Land. They participate in and fund many projects and activities aimed at preserving Christian landmarks there. 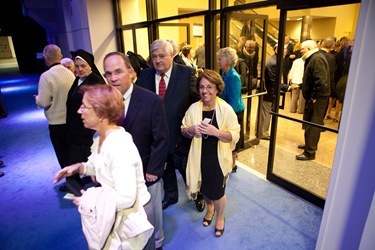 George and Mary have always been great witnesses of the faith and strong supporters of the archdiocese. And that legacy of faith had been passed down to their children and grandchildren. For example, their daughter, Mary, is on our Finance Council and she is also on the board at Carney Hospital in Dorchester. 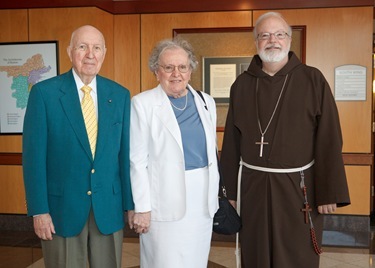 We congratulate them on this wonderful milestone of 65 years together! 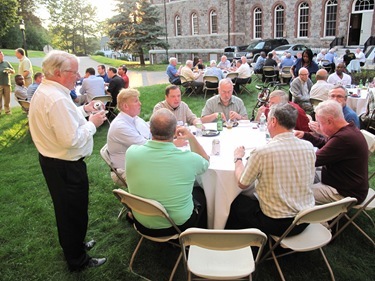 That evening I attended our annual Vianney Cookout at St. John’s Seminary, which is a gathering for our priests. 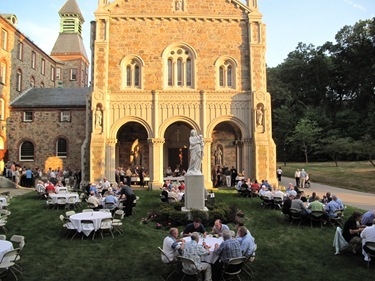 The event is named after St. John Vianney, the patron saint of priests, and consists of a talk, vespers and barbeque. 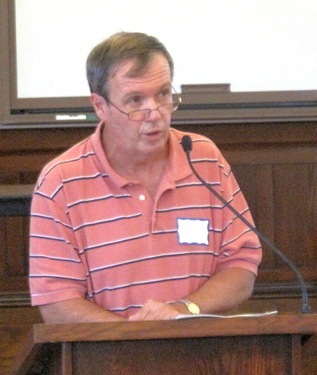 Father Tom Nestor, pastor of St. Eulalia Parish in Winchester, began the day with a lecture on the importance of hope. I understand it was very well-attended and very well-received. 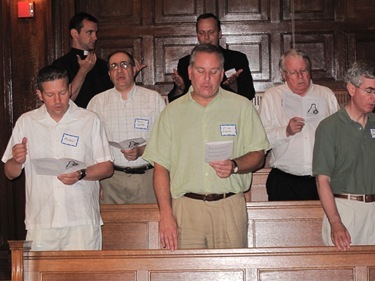 Then I led our priests in a vespers service in the seminary chapel. There were probably 200 priests and some seminarians there. The music for vespers was wonderful. 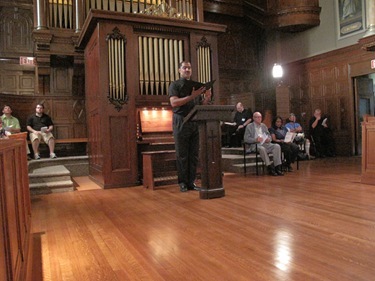 Father Paul Rouse played the organ and piano and Fathers Oscar Pratt and Mark Barr sang. After my homily, I invited Bishops-elect Arthur Kennedy and Peter Uglietto to make their Oath of Fidelity and Profession of Faith in the presence of their brother priests. They recited their Oath of Allegiance each separately and then they did the profession of faith together. I then signed as witness to both documents for each of them. 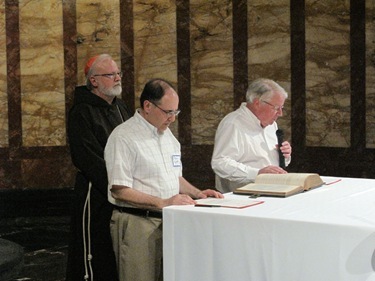 Normally, the Oath of Fidelity is done privately, but I thought it was a nice to take occasion of the Vianney gathering and have the priests be a part of it. We were fortunate to have an English translation of the Oath for the ceremony. At one point I teased Bishop Hennessey because he had to do the whole thing in Latin when he became an auxiliary four years ago. I joked that I wasn’t sure he understood everything! Then we had a lovely dinner outdoors and the weather was perfect. I could see they had to take out more seats to accommodate everyone, so I think more people showed up than we planned for. 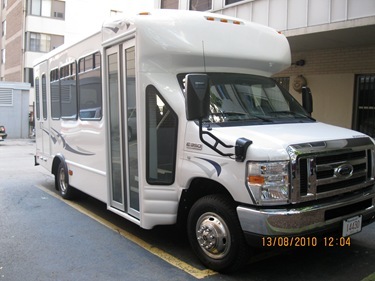 I also got to see the new bus Regina Cleri just acquired to help our retired priests get out to different activities. 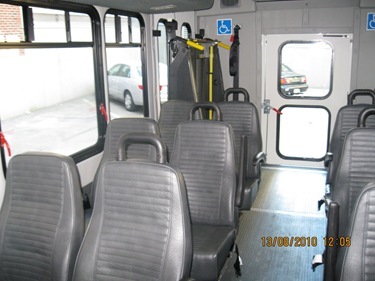 It’s brand new and has a lift on it for wheelchairs. I understand they’ve only had it for about a week now. In fact, when I saw some of the retired pastors at mayor’s luncheon, I wondered how they had gotten there with their wheelchairs, etc. It was only Wednesday when I realized they had the new bus. 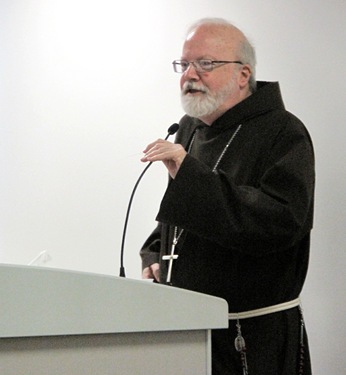 Though we had our Vianney cookout, Wednesday was actually the Feast of St. Clare, which is significant for me because I said my first Mass 40 years ago for the Poor Clares in Cleveland, on Rocky River Drive. The Poor Clares are a contemplative, cloistered order of nuns who were founded by St. Clare about 700 years ago in Italy. 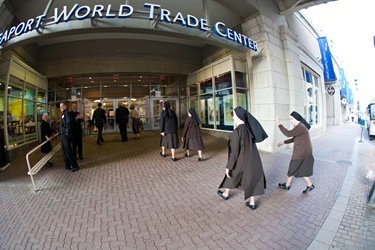 There are about 20,000 nuns scattered in monasteries in over 70 countries. 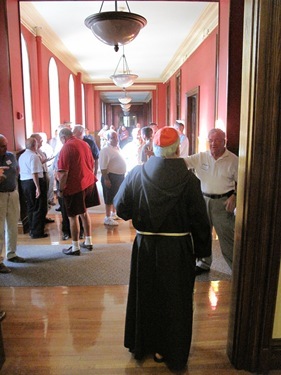 The order has had a monastery in Cleveland since 1877, and today is served by 21 cloistered nuns and three extern sisters. 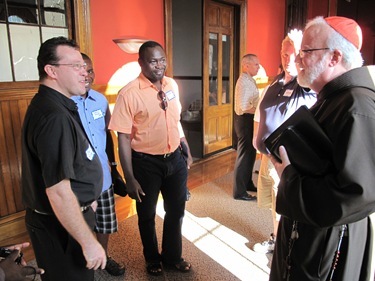 Yesterday afternoon I attended a meeting of the committee planning our second annual Priest Appreciation Dinner. Proceeds from the event go towards the Clergy Benefit Trust, which provides for the medical and retirement needs of our priests. 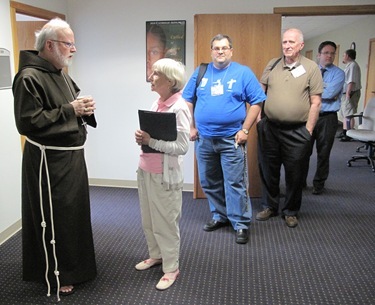 One of our big challenges is the priests’ retirement fund, and we are anxious to have people support this effort. 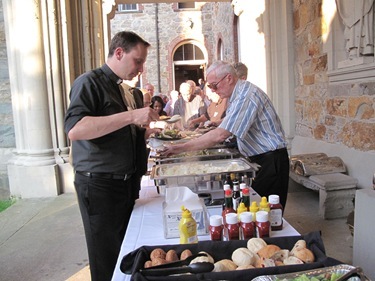 One of the things that we do is to have a Priest Appreciation Dinner, the proceeds from which are used for the priests’ retirement fund and medical expenses. 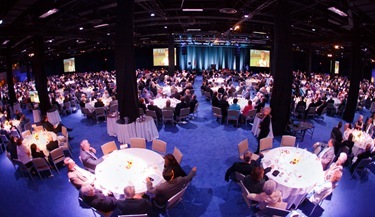 This year’s event is on Sept. 16 at 5:30 p.m. at the Seaport World Trade Center. Tom Martin, CEO of Cramer Online in Norwood, and Kathleen Driscoll, president of the Campaign for Catholic Schools, are serving as co-chairs for the event. We are very grateful to Tom, Kathleen and all the volunteers who are helping to put this event together. 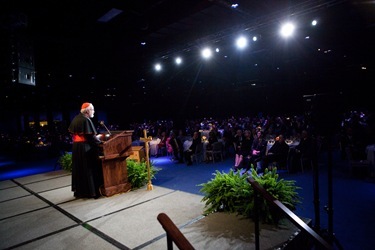 Last year’s event was a huge success, with over 100 parishes purchasing tables and over 1,600 people attending the dinner. Many vendors also support the event through donations and purchasing tables. We are so grateful to all those who are supporting this effort either financially or through donating their time and talent to organize it and make it a success. It is just such an important cause. Our priests have given their lives to help people and guide them through some of the most joyous and tragic times of their lives. Now they need us to help them. We pray that everyone in the archdiocese will respond generously to this vital need. There is all kinds of talk about getting the Churches message out to the people and all kinds of ways to do this. The problem being that still no one listens. The Churches states that it’s message is that of Jesus yet it continues to treat people in less than a Christian manner. This is where the problem lies. People understand the message of Jesus – they just don’t see it within the Church walls. 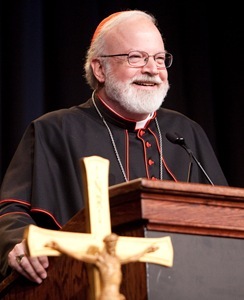 If Cardinal Sean would just hold those who work for the Church accountable for their actions than it would start to make a difference. Spending all kinds of money to tell people what they already know is foolish. Asking people to come back to the same place they were hurt without changing the circumstances of that hurt is foolish. Change needs to take place within the Church itself before things will ever change for the better, before the Love of God can be felt once again within the Catholic Church. They need to stop blaming all their problems on the Crisis and start being accountable for their own actions.